The world-renowned Gulf Islands lie between Vancouver Island and the Mainland of British Columbia. They enjoy idyllic landscapes, rustic character and they bask in a Mediterranean climate. With miles of stunning coastline, sea kayaying is perhaps the most popular outdoor activity in the Gulf Islands. Equipment rentals, lessons and guides are available on most of the islands. The islands are a destination for sailors and boaters as there are many marinas and docking facilities throughout the islands. Guided sight-seeing tours and boat charters are available from most of the islands. Cycling is also a popular way to see the Gulf Islands' quiet country roads. 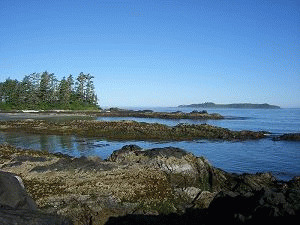 In the spring of 2004 the Gulf Island National Park Reserve was opened. This Reserve protects one of the most sensitive ecological areas in Canada. Garry oaks and arbutus trees, tide pools, sea birds, orca whales, porpoises, seals and sea lions all live in and are protected by the Reserve which covers 33 sq. km (20.5 sq. mi.) of parkland on a number of islands. The Gulf Islands produce a supply of specialty foods and farm products are available at local markets on most of the islands. Hiking golf, tennis, scuba diving, fishing are all among the Gulf Island attractions. While each island is unique in character you may want to choose one island as a day trip or overnight getaway. Check each island for the type of accommodation available and be sure to book ahead, particularly in the summer season. There are several wellness centres and spas located on the islands, taking advantage of the restful ambience that each island provides. Gulf Islands Accommodations vary from 5-star resorts to humble off-the-beaten-track Bed and Breakfasts that may just include teaching you a craft, perhaps forging. The Gulf Islands are divided into North and South. Were you to look at a map of Vancouver Island, the Southern Gulf Islands are east of the distance between Victoria and Nanaimo, in the Strait of Georgia. The Northern Gulf Islands continue into the Johnstone Strait and into the Queen Charlotte Strait, covering a total of about 490 km (304 mi.). Galiano Island's Ultimate Oceanfront Destination. Discover a spectacular West Coast island getaway minutes from city life. Experience the warm ambiance of a Spa and Wellness Retreat with the casual elegance of a Mediterranean-style oceanfront inn. Relax in beautiful accommodations in this special Gulf Island hideaway.